It is a simple but effective formula. For long days of walking in the heat, I am most comfortable and cool in skirts (and this is a life-saver for your inner thighs). To ensure I am Italian-church-appropriate, I often opted for a fit and flare dress with sleeves and a hem that hits at, or just above, the knee. A medium cross-body bag holds my essentials while keeping my hands free for taking photos. Unlike more traditional athletic tennis shoes, low-profile or slip-on sneakers don’t look out of place with dresses (no one wants to scream tourist!). And because they are currently on-trend, they come in lots of fun colors and patterns. Basically this outfit fits all occasions, is comfortable while still fashionable, and is easy to put together. 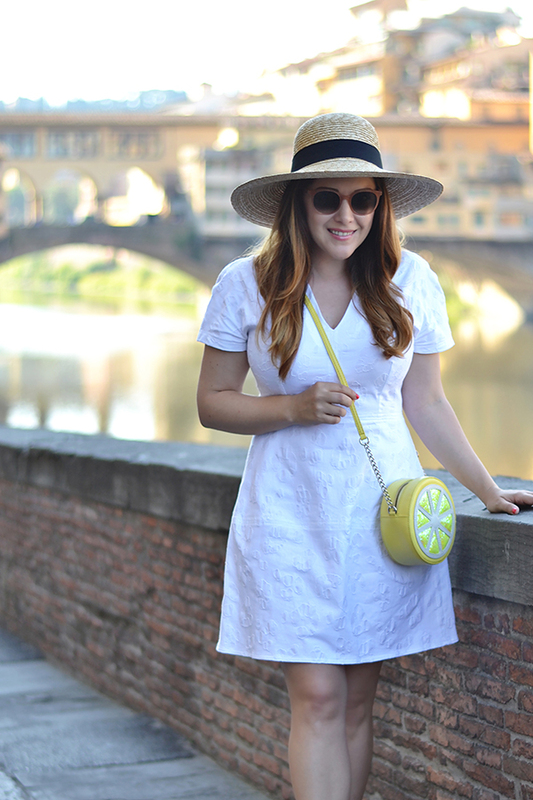 I usually mix my outfits up a bit more when I am at home in Florence, but when I am touring in the summer you can bet I will be wearing this combination. I have created some more combinations below to show you just how versatile and fun this simple formula can be. 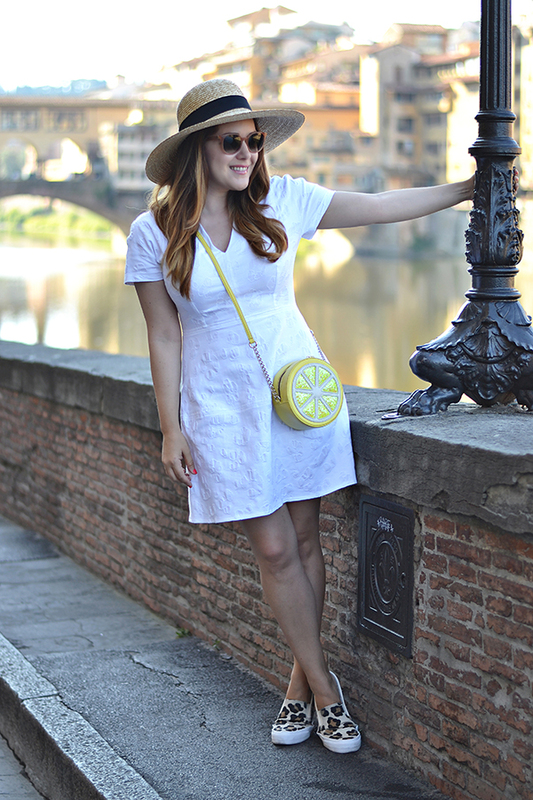 This weekend I am escaping the ridiculous heat in Florence (it is forecasted to hit 102!) and heading south to the Amalfi Coast. Have a great weekend and Fourth of July! 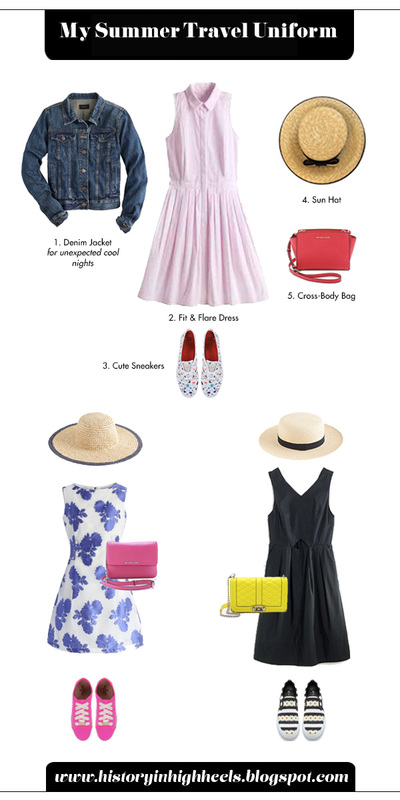 This is essentially what I'm packing…plus a lot of sunscreen. Coming from Buffalo, both my wardrobe and I are SO unprepared for 90+ degree weather! I'm hoping hats are easy to come across there because I find them to be a bit of a pain to pack. Don't worry there are lots of cute hats here! But it is SO hot right now! Just remember that churches are always cool inside, have free places to site, and are always open 😉 Can't wait to see you in Florence! Cute outfit. 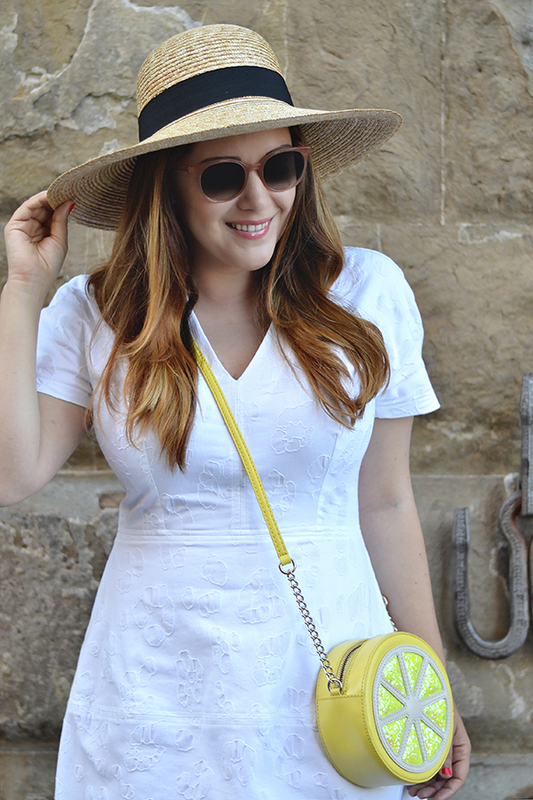 Love the hat and the lemon cross body bag.